Observationally, mucus seems to have a life of its own. It’s literally and figuratively creepy. 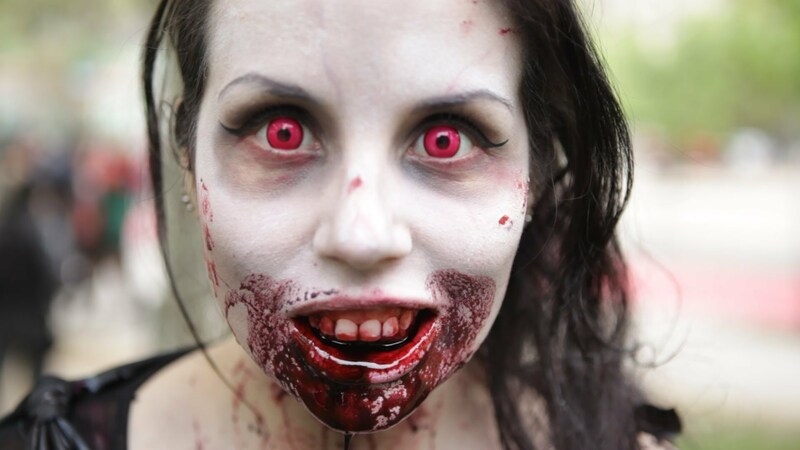 Zombies always seem to be expurgating copious amounts of it, mixed with the blood of their victims. You know the story. While morbidly fascinating, mucus is critical for many bodily functions, and breathing is the function for the moment. Breathing air, getting oxygen to our blood and expelling carbon dioxide is a dirty business. Air is full of contaminants for humans: tiny particulates, viruses, bacteria, allergens, trash, plastics, you name it. Anyone who says that the country has pure clean air is probably trying to sell you something, because they’re just blowing smoke. Mucus traps the contaminants for us. How we get the mucus and contaminants out of us is the important part. Humans move the mucus by something called the mucociliary transport system. This is a beautiful mechanism. Tiny structures called cilia beat almost synchronously with neighboring cilia on a dense grid. The cilia are bathed in a watery periciliary fluid. 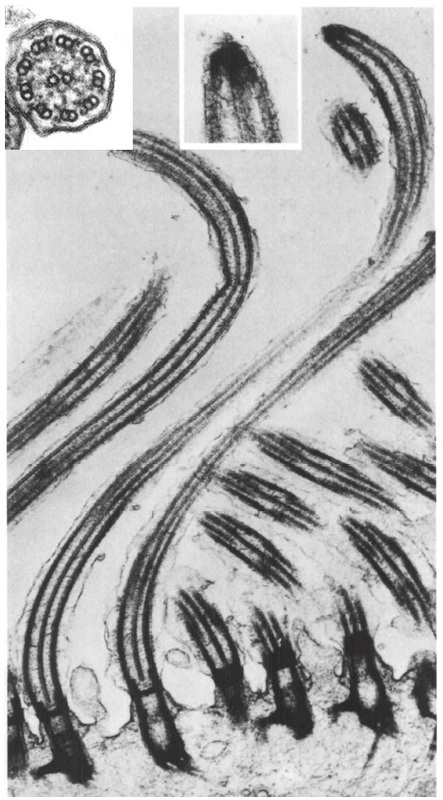 The periciliary fluid layer is about as thick as the cilia are long (estimated about 5-7 microns in humans), and the fluid is held between cilia strands by capillary action. 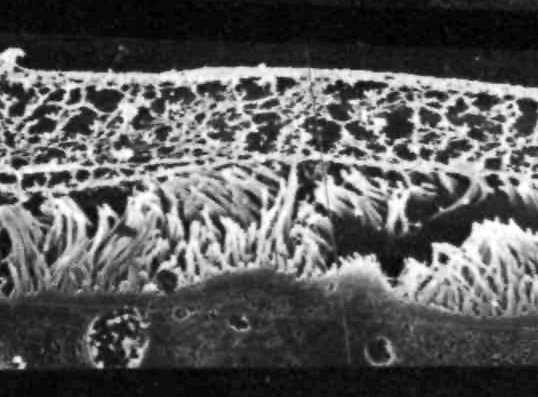 A layer of the much denser, viscous mucus floats on top of the cilia/periciliary fluid layer. Here’s a cross-sectional view of this arrangement in a rabbit trachea. The mucus layer boundary runs right through the middle of the picture. It looks like the cilia strands are supporting it. Since the mucus is viscoelastic, each stroke of the cilia “nudges” the mucus, for lack of a better term, by compressing it and allowing it to relax in the direction of movement. While one or two little strands won’t move much, millions of them can move a river of mucus in what looks like a stadium wave. If you imagine that each strand is a person, you’ll get it. Here’s a great video that illustrates this movement. Start watching at the 1:30 mark and end at about 3:30. The microscopy video of cilia moving crap out of the trachea shows how efficient it is. Imagine if a section of the cilia just weren’t there. And that’s what can happen when the bacteria Bortedela pertussis infects vulnerable humans. Stay tuned for the next installment. . . .